I’ve been writing off and on literally for decades with little luck in publishing. I could blame it on my schedule as a doctor — too many years having a 24-7 call schedule — but plenty of other doctors have managed to combine writing and medicine. The real problem was the off and on had too much off and not enough on. Internet workshops like http://sff.onlinewritingworkshop.com/ and www.critters.org improved my work enough to sell a few short stories, but what I really wanted was to publish a book. 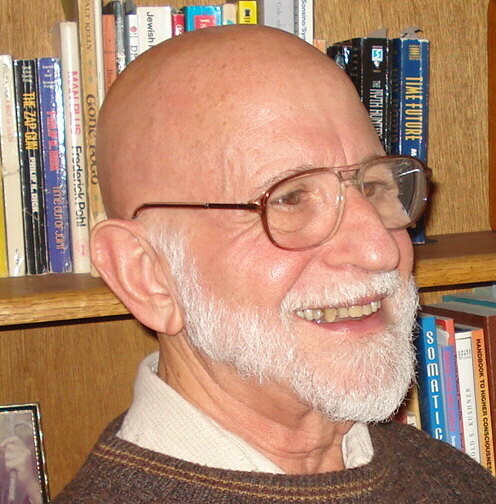 Second only to becoming a grandfather–something I had no say about–becoming a published novelist was my biggest goal. I thought my writing was good, but an unrelenting series of rejections almost had me ready to give up. Then Lilly Press accepted my novel IMPLAC, an evil robot story. I was ecstatic. Even the editing process was a joy. Unfortunately, Lilly went bankrupt and it was back to the slush pile for me. At least now I knew that some professionals valued my work. “Query Tracker” – http://querytracker.net/forum/ – taught me how to write a decent query, I sent out a batch of letters to small publishers, and in 2010 Eternal Press accepted A VIRTUAL AFFAIR. No ecstasy this time, but I was still happy that at age 68 I would finally have a book for sale. It’s never too late to pursue your dream. The book was published on January 8 of this year. A week earlier, my son called me, “Dad, Rosemarie has gone into labor.” Eight hours later, Aliana was born. I flew down to see her the day the book was published. Even though I had striven for many years to get published, at this moment, the book didn’t matter. A VIRTUAL AFFAIR. Barbara is computer software that goes from sexual simulation to virtual messiah in 100,000 words. She thinks she knows what’s best for humanity, but she isn’t human. What if she’s wrong? IMPLAC. Everyone said the sadistic, genocidal implac robots were all destroyed, but when Tommy McPherson heard one was hiding in a lunar tunnel, he knew the time had come to face his nightmares. 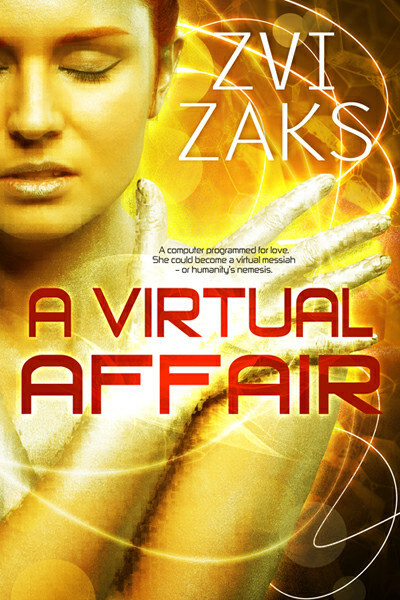 Up next is Zvi Zaks’ A VIRTUAL AFFAIR – Book excerpt! Stay tuned! Previous Entry Breaking out! #GIVEAWAY : Amazon Gift Certificates (2x$6.99) Just leave a comment to enter! Next Entry 23rd Oct (SSSS) "Freeze Billy Ray!" Can you finish this story under 1000 words?